During my frequent travels to Delhi, a must visit place for me had always been the bylanes of Jama Masjid area of Old Delhi for its street food. The niharis, seekhs and the cream butter chickens lure me there, and every time I end up discovering some new hidden gem. 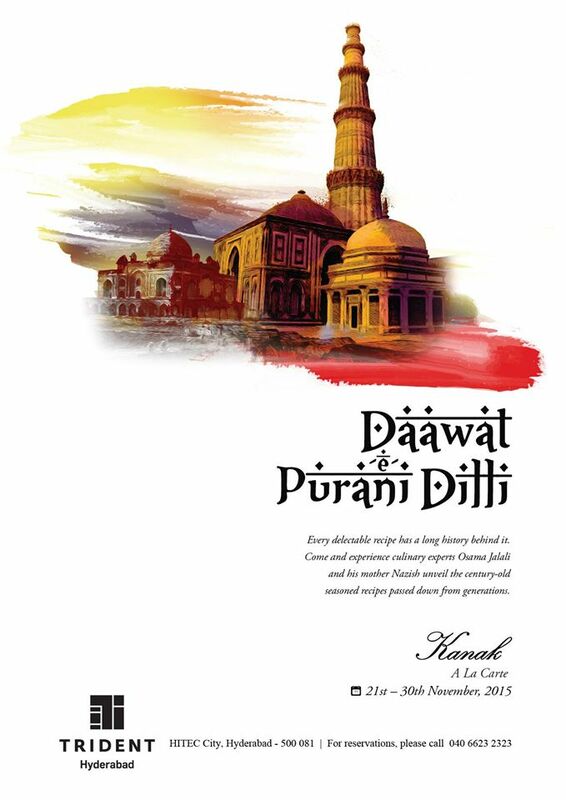 So, when The Trident decided to bring the Purani Dehlvi cuisine to Hyderabad, I felt that a big bonanza awaited me. Daawat Purani Dilli – the festival showcasing recipes from the homes of Old Delhi has been curated by Osama Jalali, a known food critic and researcher. 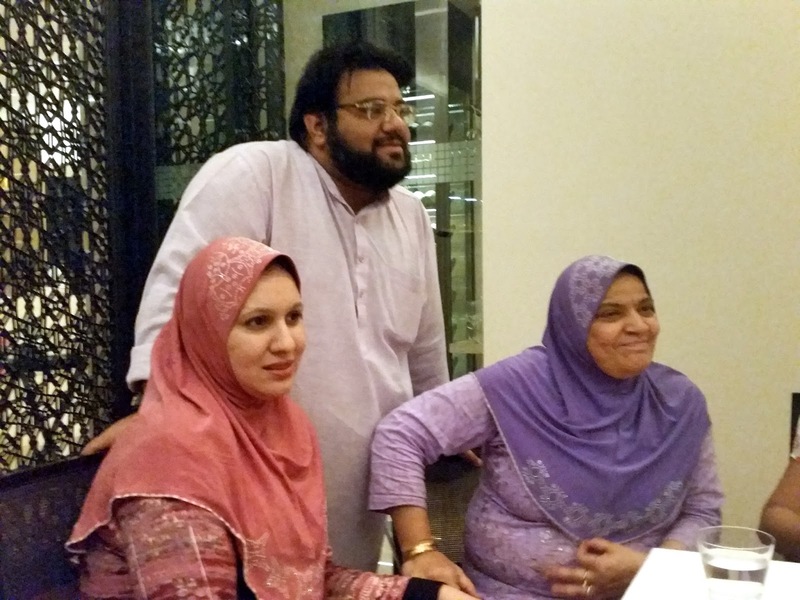 Mr. Jalali, who is in Hyderabad for the promotion explained that many of the recipes have been collected from the khansamas who used to consult his father, a doctor in the Jama Masjid neighbourhood. His mother Chef Nazish Jalali is from the Nawabi state of Rampur, and some recipes at their home had Rampuri influence. AS part of her experience of preparing food for large feasts, she had honed her expertise of these recipes. Lots of interesting facts came out from the discussions we had with Mr Jalali during a food blogger’s meet at Kanak, the specialty Indian restaurant at the Trident. We were told that the Old Delhi cuisine is rich in vegetarian dishes too – in fact the Mughal Emperor Aurangzeb was a vegetarian and hence a lot of vegetarian recipes were developed during his time. We also came to know that the street food at Jama Masjid are more oily and spicy to suit the local taste, but the actual home cuisine at Old Delhi is simple and relies more on select spices and flavors. During the discussion, a description of a dish from Mughlai cuisine which mesmerized me was Parindein Me Parinda, which has a duck stuffed with a whole chicken which in turn had a quail inside and finally a boiled egg. Mr. Jalali told us that during the Mughal period there were many more layers of stuffing in a similar dish starting with a camel. Our food journey started with a range of vegetarian and non-vegetarian kababs. The Kachhe Keema ke Tikiya was the first in the queue. 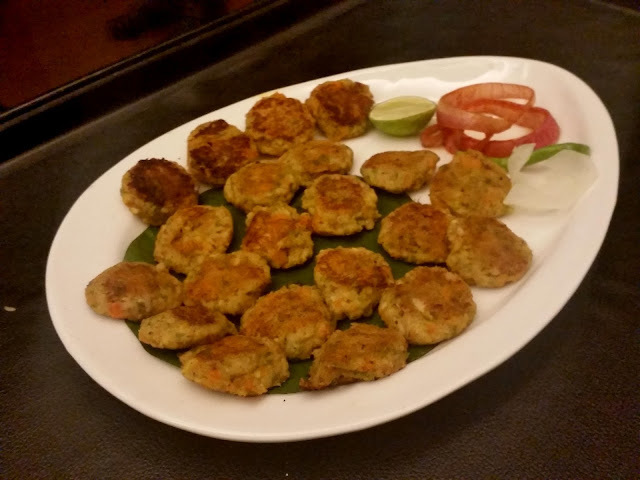 Here uncooked lamb mince is blended with spices and hand massaged into a tikki, and then shallow fried. The soft kabab was brilliant with a strong flavour of mutton and spices – easily one of the best dishes of the day. 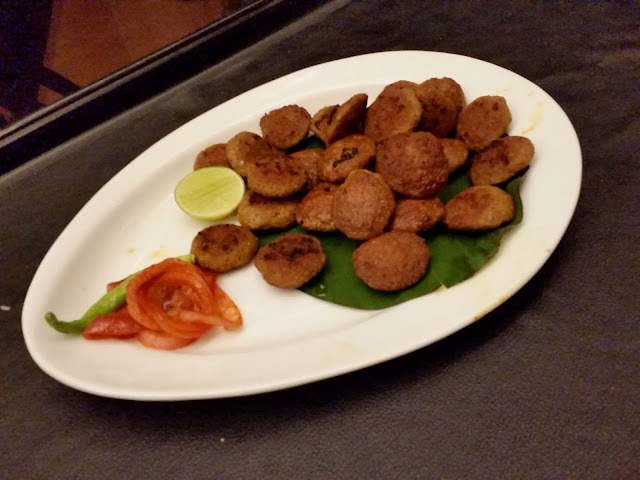 The vegetarian Kachhe Kela ke kabab based on raw banana was similar to the Kanchkolar Kofta prepared at Bengali homes. 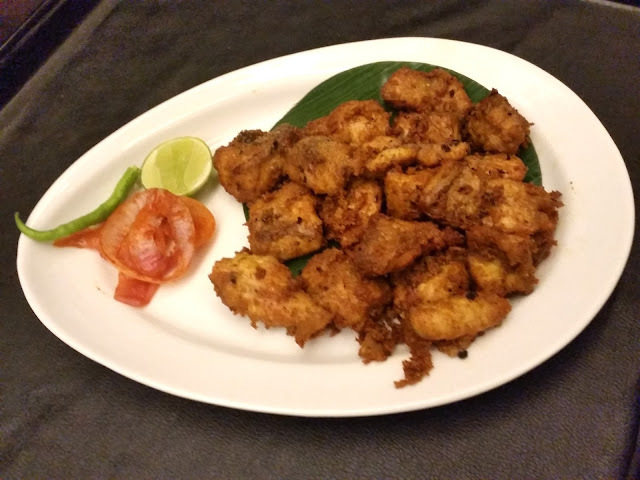 I felt that the masala in Macchli Fry had a bit extra saunf - I liked the soft boneless fish though. Mewa Kabab was another outstanding dish prepared with dry fruits and spices, which seemed to have a myriad of tastes bursting in the mouth - of cheese, khoya and dry fruits. 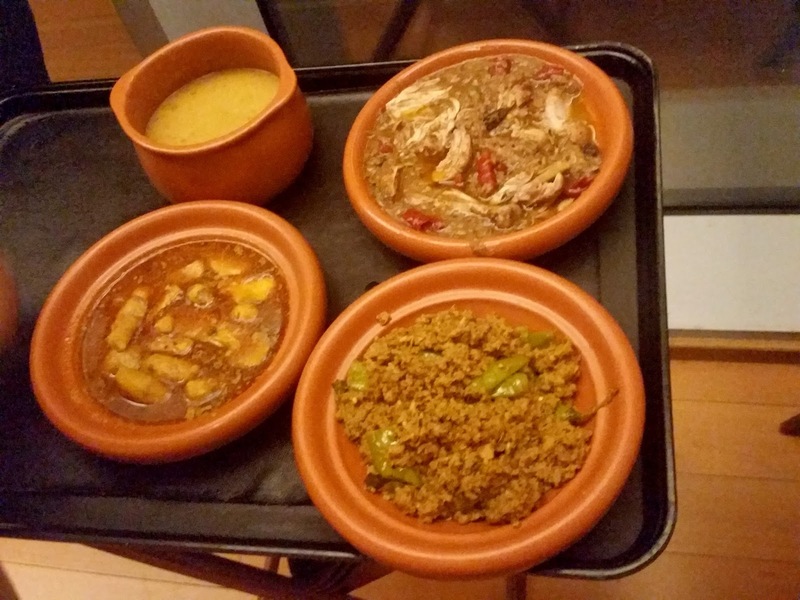 The main courses had quite a spread – about seven items including both vegetarian and non-vegetarian. The Karela Ki Chidiya or bitter gourd stuffed with a fennel seed dominated masala was a Rampuri dish. The Chane Ki Dal Ka Bharta, a mashed lentil preparation with ghee, onions and green chillies was simple soul food. Arbi Ka Salan, a yoghurt based colocasia gravy was one of the dishes I was looking forward to as arbi is one of my favorite vegetables, and I had been experimenting with it a little bit myself. It turned out to be good but not great. 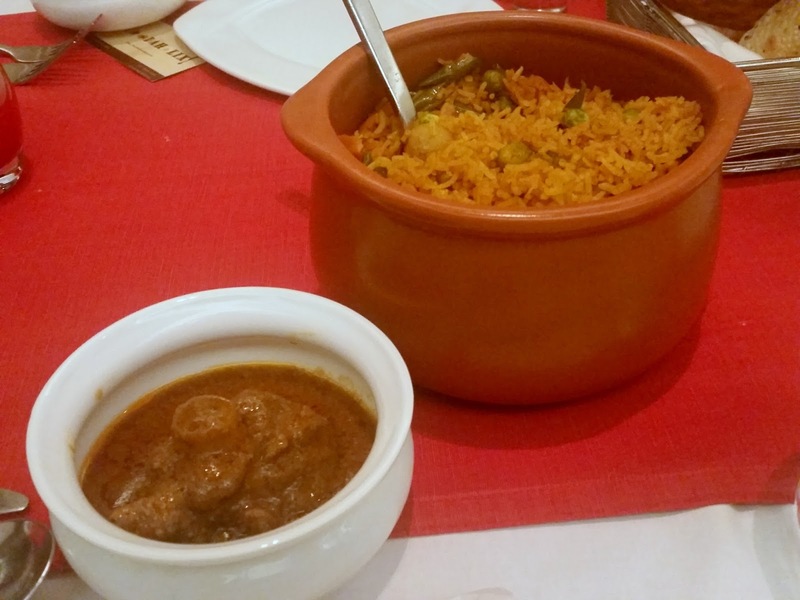 It seems that this dish was popular with the Nawabs of Rampur, who used to always plan dishes for their Hindu guests. Tehari, a vegetarian pulao popular in Old Delhi, was simple and delicious – the Bengali in me loved the potato in the rice. My visits to Old Delhi has exposed me to Niharis from Bilal, Kallu and Haji Shabrati (and not Sharbati as Osama Jalali corrected me) but the Dehlvi Nihari I had at this festival will surely rank as one of the best I have had so far. The gravy was rich, smooth and aromatic and the baby naan was a perfect foil for this. 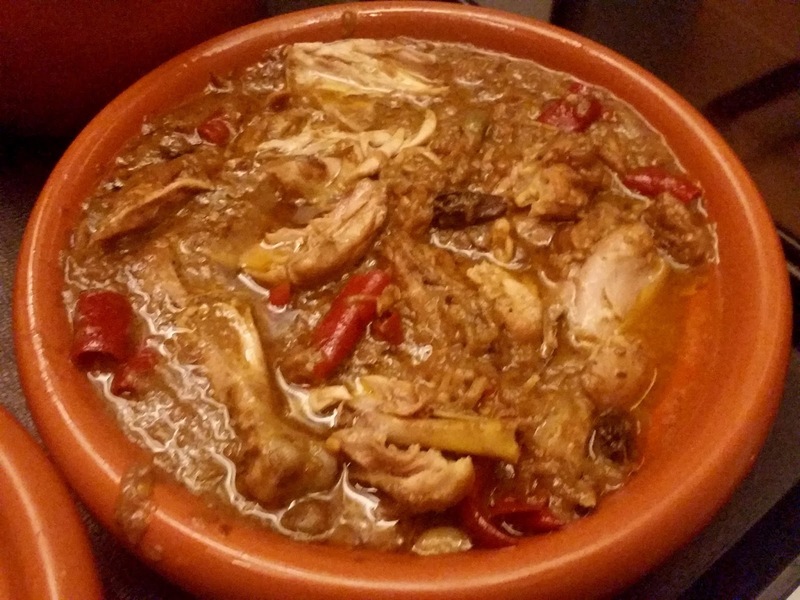 The onion and red chillies based gravy of The Chicken Ishtew was again a revelation. 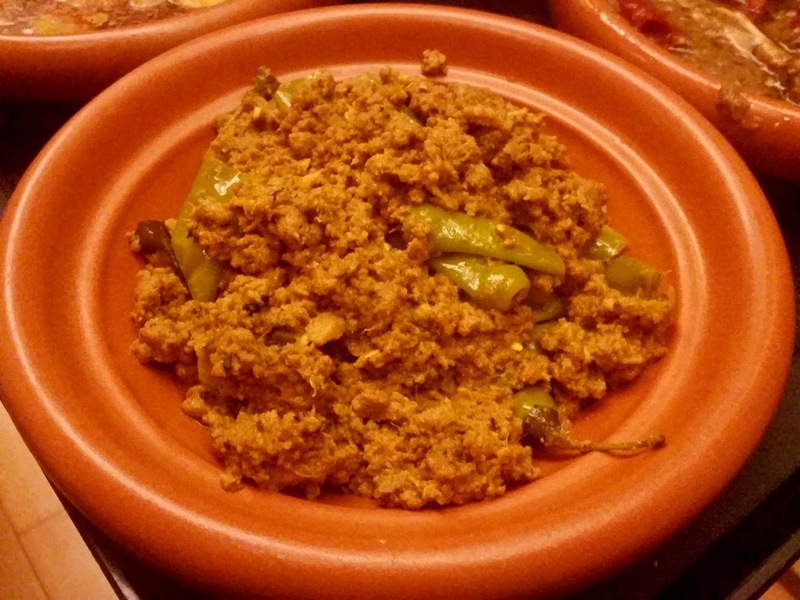 Keema Hari Mirch or mutton mince with green chillies was the other main course served at the Daawat. 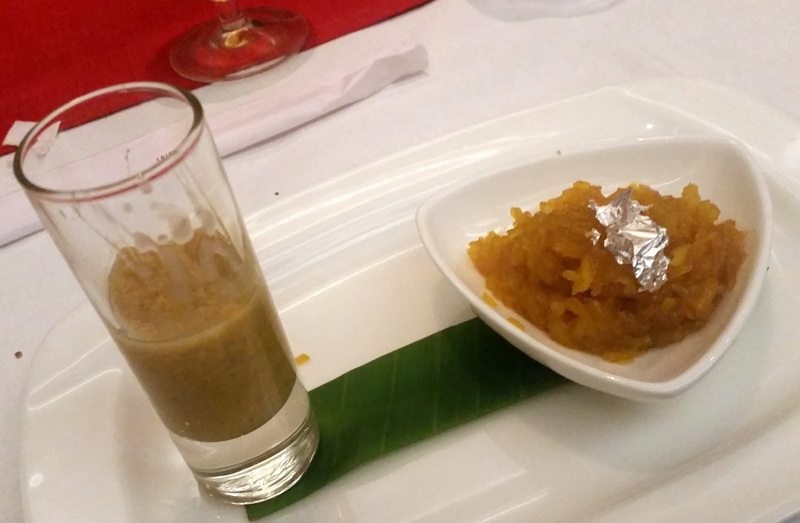 The dessert platter had two sweets – the first was the famous Gosht Ka Halwa, a sweet prepared from lamb mince, sugar and select spices. I could not find any trace of taste of lamb in this, the meat flavour has been well camouflaged in the spices and sugar. Aloo Zarda, a potato based dessert in milk and zafraan was unique too. If I have to give one tag to the dishes in this festival it will be simplicity. Do not expect spicy, oily and rich stuff which you normally associate with Mughlai cuisine and find normally in the restaurants. Rather, if you like subtle, homely cuisine this is the place to go. You will feel surprisingly light at the end of a sumptuous meal. The festival is a-la-carte and goes on till 30th November at Kanak, which is open only for dinner. My strong recommendations from what I tried out are for the Kachhe Keema Ke Tikki, Mewa Kabab, Chicken Ishtew, Nihari and the Aloo Zarda. Disclaimer: The review is based on an invite by the restaurant. However the opinions expressed in the post are honest and unbiased.